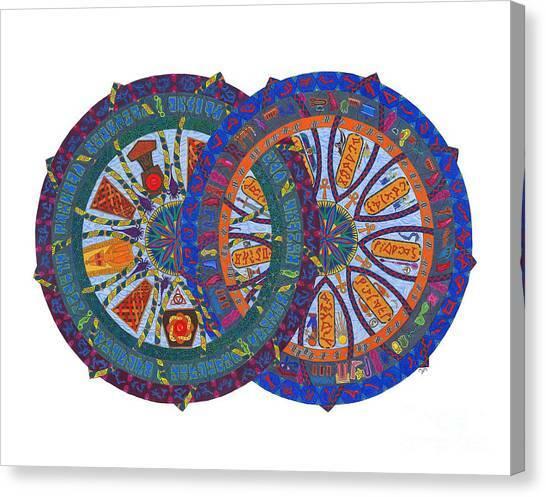 Across The Universe is a painting by Mary J Winters-Meyer which was uploaded on November 5th, 2013. 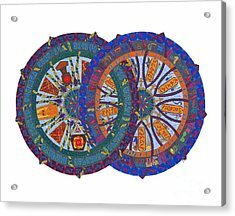 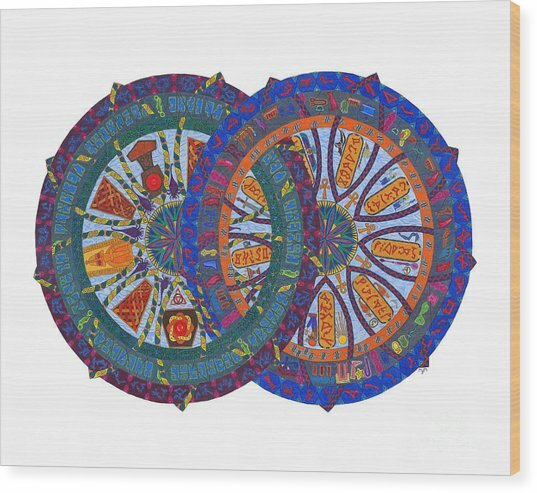 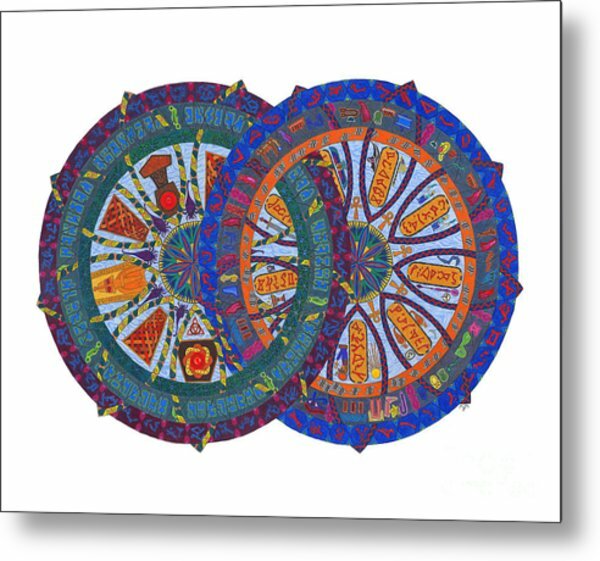 Elements and symbols from the Stargate shows are transformed into a mandala-style art print. Both the Pegasus and Milky Way galaxies are represented, along with the various races the Tauri encounter, including the Goa'uld, the Ancients, the Wraith, and the Replicators. 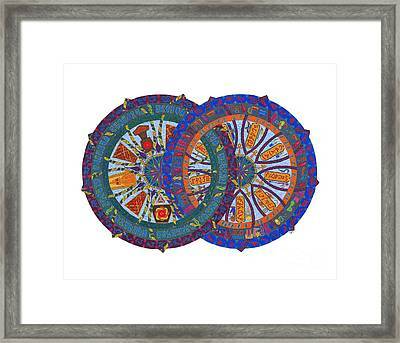 The colorful, symmetrical design evokes the spirit of the popular series, while still maintaining an air of mystery. 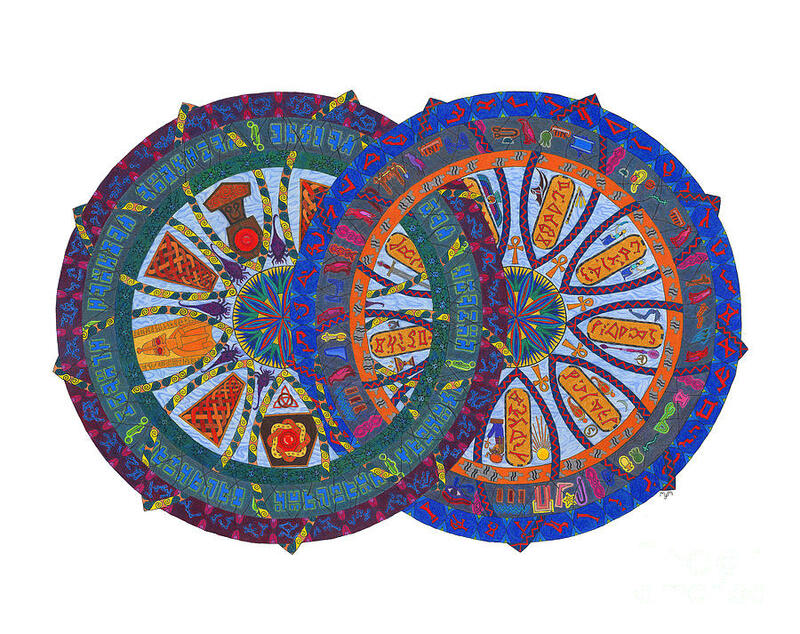 Thanks for the feature, Alec!